When the latest federal government shutdown began in December, the government had passed some but not all spending bills. As a result, some agencies have remained operational while others have not. A further complication is that employees within agencies are required to be classified as “exempt” or “furloughed.” (Other terms include “essential” and “nonessential” although, to spare feelings these were changed in 1995 to “excepted” or “non-excepted.”) Employers thus have to inform themselves on how the shutdown affects their business. Just as the shutdown has affected different branches of the government differently, for some employers the shutdown may have little effect, while for others it effectively shuts them down as well. 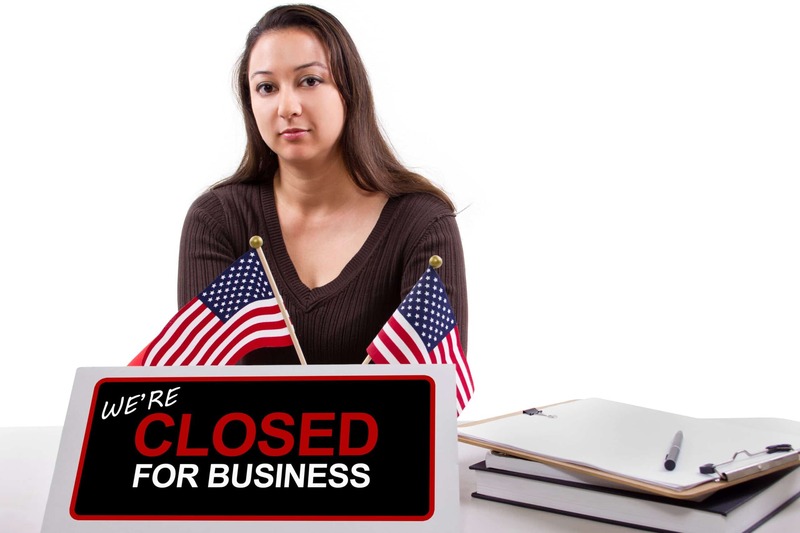 Perhaps the effect of the shutdown that has the broadest impact on employers is the unavailability of E-Verify services (as well as Self-Check and Self-Lock), which are conducted by the U.S. Citizenship and Immigration Services (USCIS). The lapse in government appropriations does not affect Form I-9, Employment Eligibility Verification requirements. Employers must still complete Form I-9 no later than the third business day after an employee starts work for pay, and comply with all other Form I-9 requirements outlined in the Handbook for Employers (M-274) and on I-9 Central. [E]mployers with federal contracts or subcontracts that contain the Federal Acquisition Regulation (FAR) E-Verify clause are required to enroll in E-Verify as a condition of federal contracting. Employers may also be required to participate in E-Verify if their states have legislation mandating the use of E-Verify, such as a condition of business licensing. Finally, in some instances employers may be required to participate in E-Verify as a result of a legal ruling. For these employers, the shutdown puts a halt to hiring. Employers will need to confirm their standing and policy regarding E-Verify and other DHS services during the shutdown. An employer must pay an exempt employee the full predetermined salary amount “free and clear” for any week in which the employee performs any work without regard to the number of days or hours worked. However, there is no requirement that the predetermined salary be paid if the employee performs no work for an entire workweek. Deductions may not be made from the employee’s predetermined salary for absences occasioned by the employer or by the operating requirements of the business. Can an employer reduce the leave of a salaried exempt employee? An employer can substitute or reduce an exempt employee’s accrued leave (or run a negative leave balance) for the time an employee is absent from work, even if it is less than a full day and even if the absence is directed by the employer because of lack of work, without affecting the salary basis payment, provided that the employee still receives payment equal to the employee’s predetermined salary in any week in which any work is performed even if the employee has no leave remaining. When employers sponsor foreign workers under H-1B, H-2B and E-3 visas, they are required to pay the rate set forth in the labor condition applications certified by the…DOL. Even foreign workers placed on a non-productive status or reduced work schedules must be paid at the certified pay rate. Similarly, other employment standards and practices governed by the DOL remain effective during the shutdown. In addition, employers should consider whether the “Worker Adjustment and Retraining Notification…Act notice requirements” will be implicated if the shutdown will go on long enough to force a mass layoff or plant closing. Finally, as the Office of Federal Contract Compliance Programs (OFCCP) is part of the DOL, it remains open. The Equal Employment Opportunity Commission, however, is for the most part closed. It has posted a notice saying it is “currently closed because of the government shut-down” but that “a limited number of EEOC services are available.” For example, “The EEOC will accept Federal Sector hearing requests during the shut down.” For employers, the shutdown will likely mean further delays before hearings occur, which allows for more time to prepare. As for employers who are contractors to federal agencies, the advice is to stay abreast of the agency’s status and needs during the shutdown. While federal employees may get back pay for the time they worked, contractors are not as fortunate, however. With any luck, the shutdown will end soon and allow them to return to work. Eric Howard is a legal editor who lives in Los Angeles. What Are Your Employees Saying about Your Company?